To provide my patients with the highest quality bone and joint care, I'm dedicated to the newest advancements and keep up-to-date with the latest health care technologies. 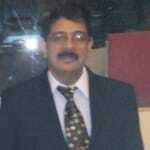 Dr. Harish Makker is one of the best Orthopedists in Ahmamau, Lucknow. He has helped numerous patients in his 36 years of experience as a Orthopedist. He studied and completed Diploma In Orthopaedics (D. Ortho), MBBS . You can visit him at Dr Harish Makker's Clinic in Ahmamau, Lucknow. Book an appointment online with Dr. Harish Makker on Lybrate.com. Lybrate.com has a number of highly qualified Orthopedists in India. You will find Orthopedists with more than 42 years of experience on Lybrate.com. You can find Orthopedists online in Lucknow and from across India. View the profile of medical specialists and their reviews from other patients to make an informed decision. What type of surgery required for DISC PROLAPSE (herniated disc. Please kindly help me. I am suffering with it. How much it costs.Please suggest me for that. DISC REMOVE; ALONE MAY COST RS ONE LAKH, PEROPRATIVE IF NEEDED FOR FIXATION IMPLANT COST AND OT +OTHER CHARGES WILL ADD.